Do you have some mini superheros running around your home? Then you know the basic issues with those capes. You can improvise by tying a blanket around their neck. 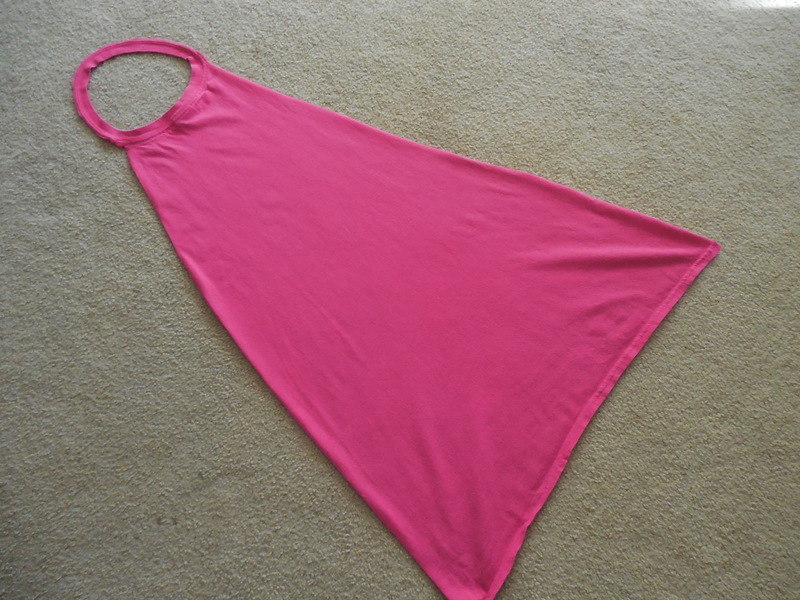 You can splurge on Velcro-attached capes, or get crafty and sew one yourself. Have fun pulling that Velcro off your laundry. Here’s what I came up with this afternoon. All I needed was an old T-shirt and scissors. 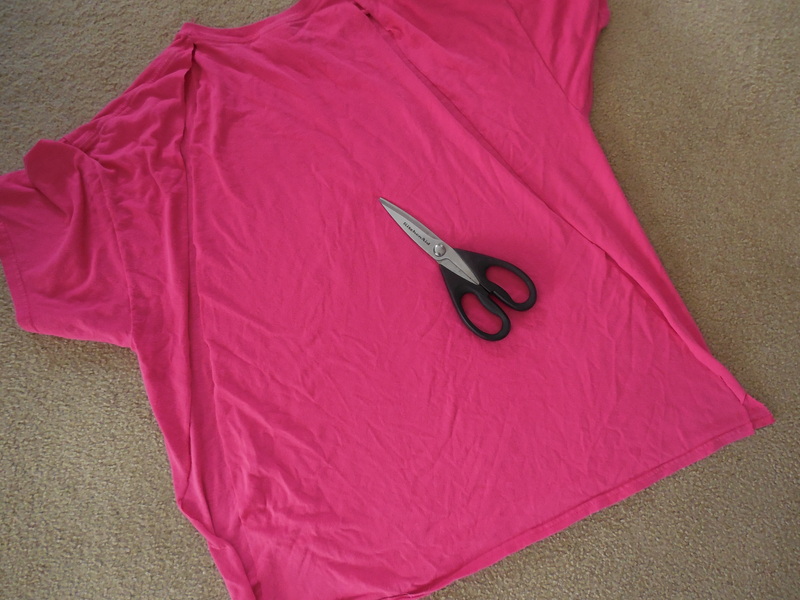 Cut from the bottom of the shirt up to the collar, forming a rough triangle. Carefully snip around the collar. This is a cape that they can put on and take off by themselves, and has no special washing instructions. 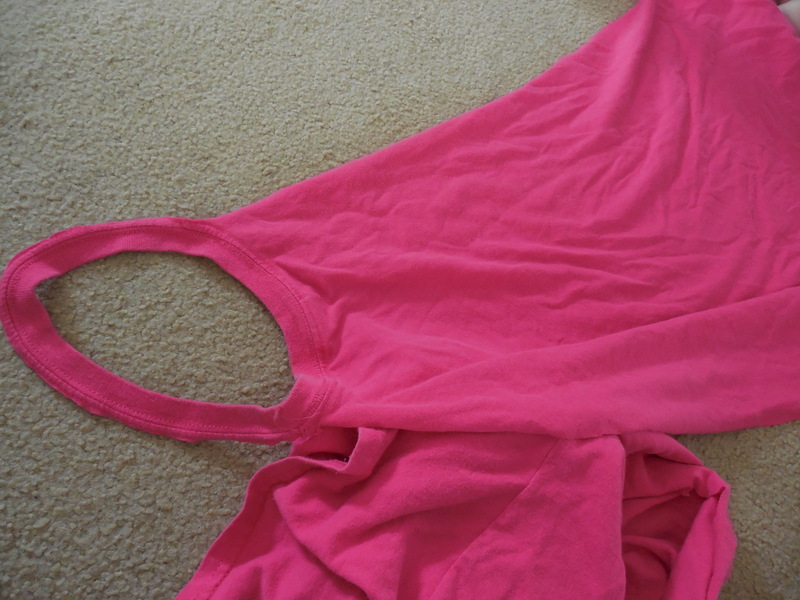 I hacked up the front of the shirt to make cleaning rags, so this old T-shirt now has two uses. Have fun and make one for yourself! Oh how fun! There’s just something about capes that’s great for the imagination.